Vector graphics of sports gear. 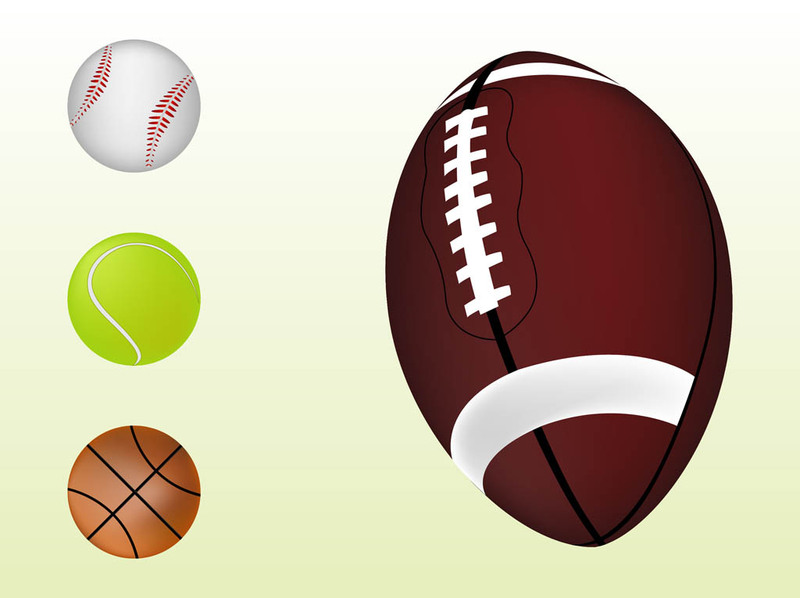 Detailed graphics of the balls used in different popular sports – baseball, tennis, basketball and American football or rugby. Free vector graphics to create sports, sports gear, balls, ball games, matches, sports leagues, championship and teams visuals. Tags: American Football, Ball, Balls, Baseball, Basketball, Rugby, Tennis.